If you’re considering keratin blowouts? Read this first! You’ve probably heard one of your friends or family members raving about a keratin blowout (fun fact: it’s also more commonly known as the Brazilian Blowout or keratin smoothing treatment). Their praises for this hair treatment as an alternative to rebonding may have been enough to make you curious to research about it. Considering getting a keratin blowout? Here’s a simple guide to everything you need to know about keratin and how the entire treatment is done. Keratin is the protein in our hair strands that protects the core of the hair from damage and stress. It’s a major component of the hair and makes up most of the outer layer of our skin and nails as well. Keratin in our hair is lost over time as it experiences stress from environmental causes and styling damage. What happens when you get your hair to undergo a Keratin Treatment? A Keratin blowout is basically a hair straightening treatment that fills the empty holes in our hair where our natural keratin used to be. It’s like filling the gaps in our hair follicles to help it become whole again. How is the Keratin treatment carried out? Just like coloring your hair, the keratin formula is applied with a brush. A hot flat iron is then used to seal in all the nutrients in your hair. This will take at least an hour depending on how long or short your hair is. Once done, your hair care professional will advise you not to wash your hair for at most 4 days. It’s best to follow their advice if you want your money’s worth. Can I do the treatment at home? You might be thinking that it sounds simple enough to do by yourself in the comforts of your own home, and in some instances (depending on the formula) it may be possible to do a DIY at-home keratin treatment. However, every keratin treatment has a different formulation that is meant for a certain type of hair. A trained professional can better assess your hair and figure out which formula will work best for your hair type. If you really want to do a DIY treatment, opt for lighter keratin treatment formulations and use keratin infused hair products daily. Want long lasting straighter hair? 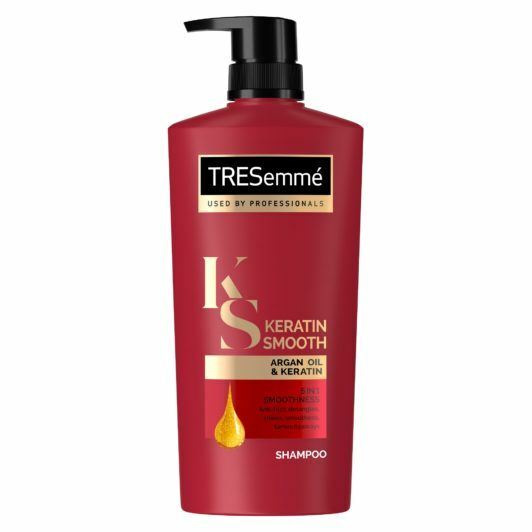 TRESemmé Keratin Smooth Shampoo is specifically formulated to help leave your hair gorgeously sleek and manageable. The formulation is also suited for salon treated hair, so it’s perfect for caring for your hair after your keratin blowout. 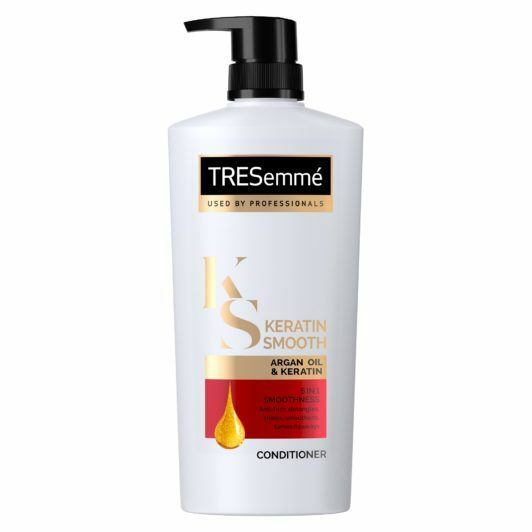 TRESemmé Keratin Smooth Conditioner is a salon-quality conditioner that helps to nourish each strand to leave hair straight, shiny, and manageable. When used together with the shampoo, it helps transform your hair, making hair feel gorgeously sleek with less frizz. TRESemmé Keratin Smooth Treatment Mask gives you an instantly smoother style & frizz control as it helps to nourish hair by infusing keratin from root to tip. 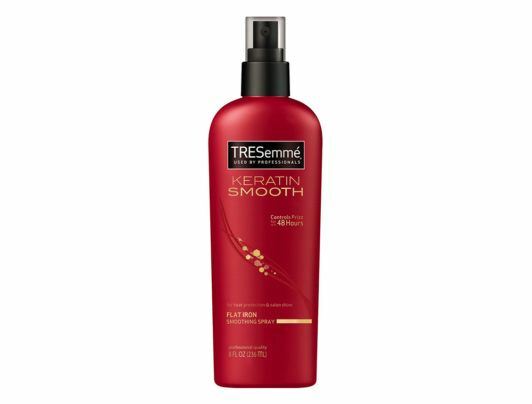 TRESemmé Keratin Smooth Flat Iron Smoothing Spray helps to shield hair from the damaging effects of heat styling — and seals in shine. Infused with keratin, this product reduces frizz and acts as a barrier from heat styling tools. Chemicals are not the only factor that can cause hair damage. The effects of heat, pollution, and humidity also cause harm to your tresses. Give your hair the much-needed protection by using Sunsilk Damage Reconstruction Shampoo with Keratin Complex for protection from both natural and chemical damage. 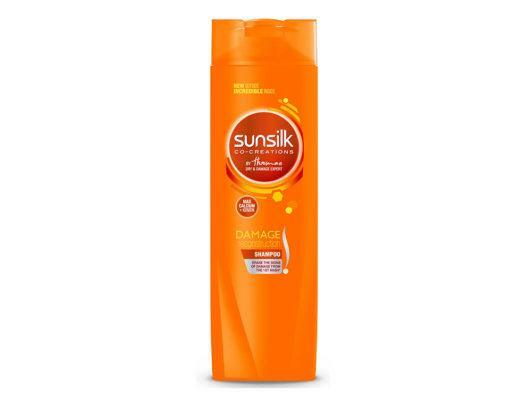 It is also best used in combination with Sunsilk Damage Reconstruction Conditioner. Formulated with Keratin-Actives, helps your hair to recover from damage. The formula repairs signs of surface damage, making your hair look and feel smoother and stronger against breakage. It also penetrates the strands to provide hair nourishment deep inside, that leaves hair strengthened and resilient to future damage. 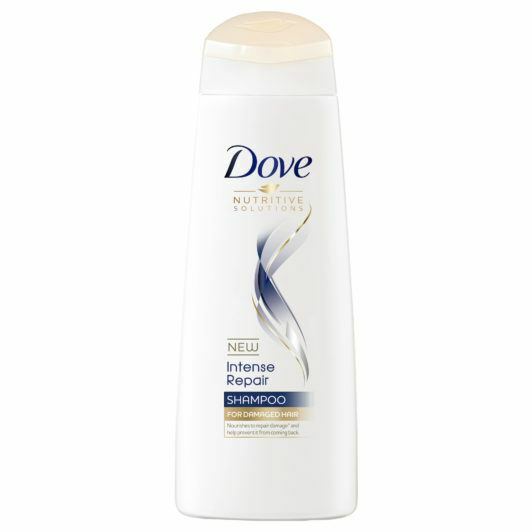 Regular use with Dove Intense Repair Conditioner is recommended for optimal results. When hair is weak and damaged, it loses shine and smoothness. 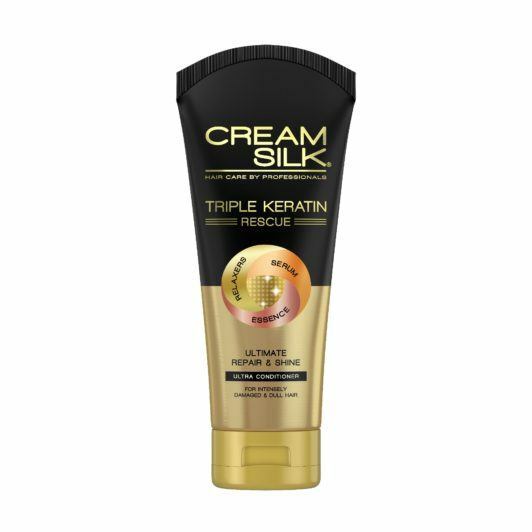 Bring back the glow of healthy hair with Cream Silk Triple Keratin Rescue Ultimate Repair & Shine that gives you the benefit of 3 keratin treatments at the speed and convenience of a conditioner. The classic beauty of smooth, silky, straight hair never goes out of style. While trying to achieve that look, we oftentimes resort to things that causes damage to our hair like the frequent use of heat styling tools or chemical straightening treatments. 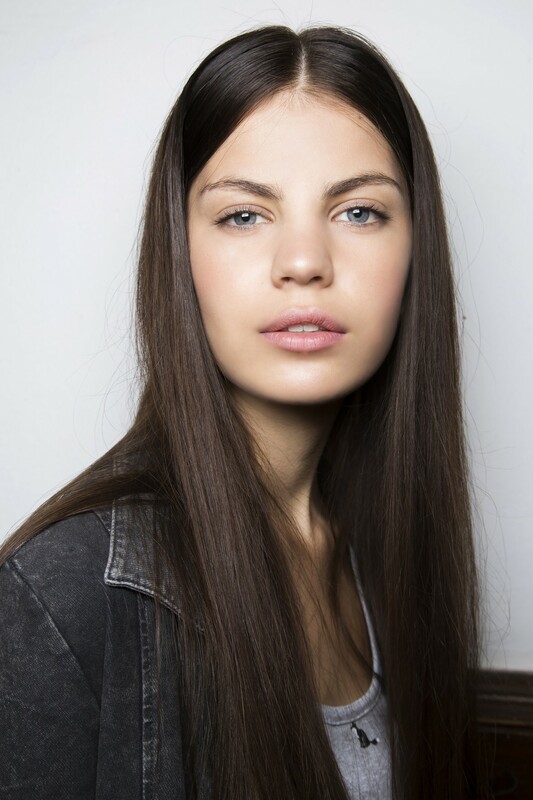 Help your hair recover from damage by getting the most keratin it can use to keep it frizz-free and straight. 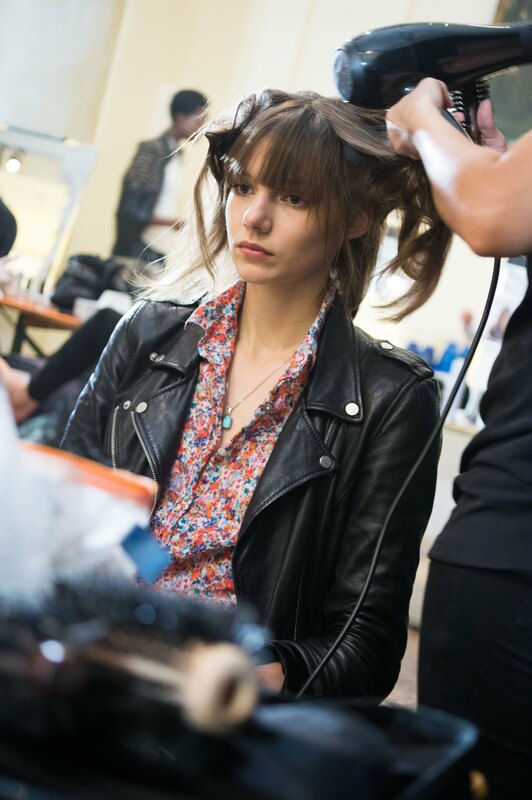 When it comes to the effectiveness of salon treatments, it’s all down to ensuring that you care for your hair post-treatment. This will help keep hair looking and feeling soft and healthy. If you’re considering a keratin blowout, stock up on products that’ll help keep your hair soft and moisturized post-treatment. Next read: If you like more information about keratin blowout, here’s another article about the 6 things you need to know before getting a Keratin Smoothing Treatment. 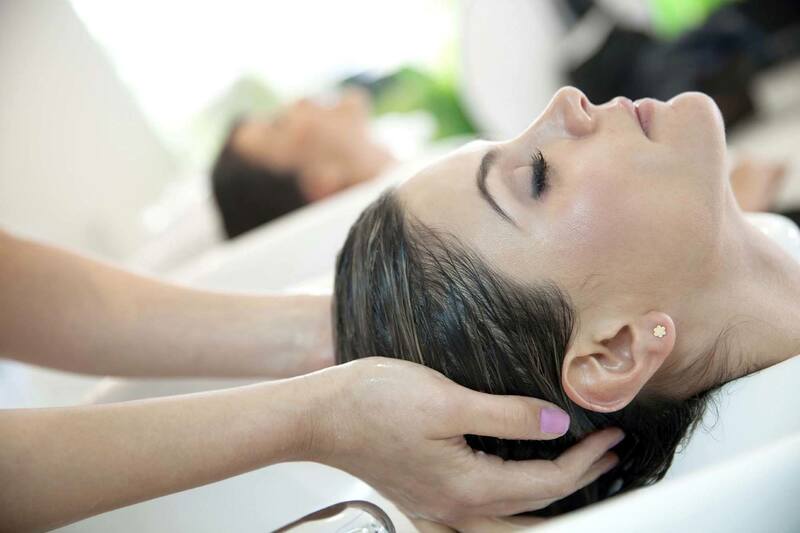 If you love salon hair treatments, this list is for you!